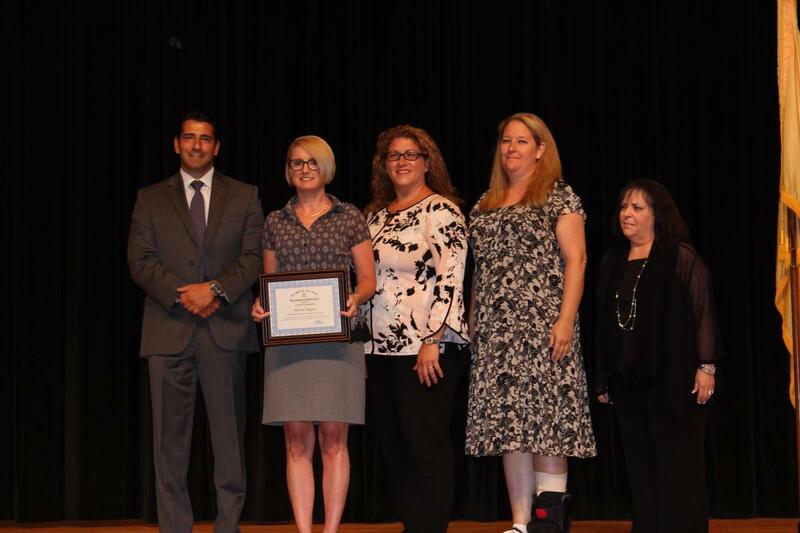 The New Jersey Department of Education (NJDOE) has recognized 21 teachers as the 2018-2019 County Teachers of the Year in an awards ceremony at Jackson Memorial High School in Jackson, NJ. Mrs. Patricia Smeyers, a fifth grade teacher and Yearbook Advisor at Clarendon School in Secaucus, NJ has been named the 2018-2019 Hudson County Teacher of the Year. Mrs. Smeyers has earned a Master’s of Educational Technology and a Technology Integration Specialist Certificate from Boise State University. 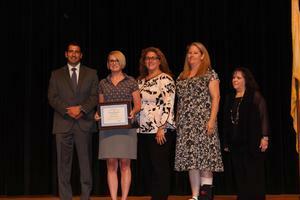 Patricia received the NASA Explorer School STEM Teacher award. Her STEM advocacy inspired new curriculum to take root districtwide. Mrs. Smeyers is a teacher known for innovation, creativity and keen knowledge of best practices that ignite her students’ interests. Her technique incorporates strategies designed to meet the needs of all learners through project based instruction. Patricia is also employed by Boise State University to collaborate with a team of distinguished STEM professors and a retired National Aeronautics and Space Administration astronaut. Their team was awarded a National Science Foundation grant to develop STEM curriculum and teacher training for after school programs. In addition, Patricia’s District Social Media guide received the Teacher’s Guild/International Society for Technology in Education Favorite award and was highlighted at the 2018 International Society for Technology in Education Convention. She is also is a member of many New Jersey Associations that include The Association of Mathematics Teachers, The Technology and Engineering Educators Association, The National Science Teacher Association and is a certified Google for Education Trainer.